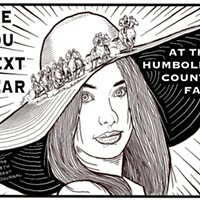 The penultimate day of the Humboldt County Fair in Ferndale is the best day, Ladies’ Hat Day. As the name suggests, women in hats abound — ranging from the simple imitations of Christine McVie to resplendent facsimiles of Eliza Doolittle’s chapeau at the Embassy Ball. 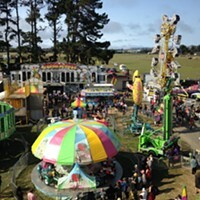 There are a number of contests and a parade. It’s a welcome respite from the Carhartt and flannel-soaked daily couture of Humboldt. 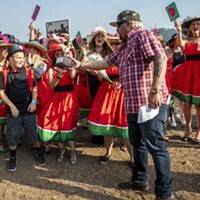 Often gaudy, like the dozen-or-so women in amazing matching watermelon dresses and decorated hats (whom I really hope won the “Best Group” category because they looked like a summertime cornucopia) and idiosyncratic (the woman with the papier-mâché horse-and-jockey hat), folks really lean into the event, to the betterment of our community, I think. Nothing goes with ornate hats and fancy attire better than Southern humidity, mint juleps, and horse racing. Though we couldn’t replicate the former — even with a balmy 65-degree day — the latter two were never in short supply. 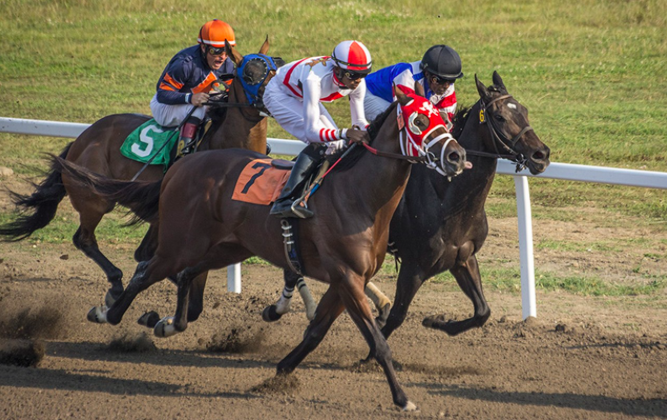 The epicenter of Ladies’ Hat Day is the racetrack, which, on bookending weekends, has real-life horse racing. 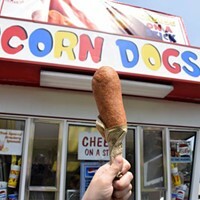 Past the under-engineered death traps we call carnival rides and innumerable fried food stands that are the staples of county fairs nationwide, looms the stadium. Its tan paint chipped and weathered, some might call it tumbledown. I call it scrappy and full of character. It’s a fitting home for Humboldt’s iteration of one of the world’s most ancient sports. stretching my attenuated budget over a razor’s edge. to do it very often. My personality doesn’t lend itself well to moderation. But, as my dear auntie is so fond of saying, “Everything in moderation, darling. Including moderation.” So every so-often, I like to lean in to my vices — engage in dialogue with them. It was 2 p.m. Seven minutes until post time, when bets are locked in and closed. Two-hundred and twenty yards, mules 3 years old or more. A quick shot to the heart to get things started. I bet a trifecta and two wins straight from the handicappers, and lost all three. Here we go again. cigarette. Gambling is a lot like running: Once you’ve crashed through the first wall and hit your stride, it’s easier to keep going than it is to stop. hollering like she was at a little league baseball game. 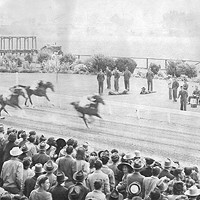 (She would win two races later but her reaction the was unfit for print.) I had a lucky call and won my longshot, giving me some “house money” for the next run. The hooks were in. You can’t walk away on a loss and leaving on a win shuts the door on a hot streak. Every avalanche begins with a single snowflake and who am I to shun nature? I had to keep going. Time starts to compact when I’m gambling. Things bleed together, become indistinguishable from one another. Before you know it, you’re sauced, the only things in your wallet are a maxed-out credit card and a moth, and you’re standing in line to cash out two minor winners and a $5 voucher (still patting myself on the back for this herculean show of restraint). In the end, I won $16 (thank you True Grit and Soft Trip!) and had a stack of 15 losing tickets filling up my back pocket. But dammit, I had fun. See you next year.